How vital is water to the water of life? And what impact does it have on the dram in your hand? Here’s the Whisky Professor’s take on the subject. 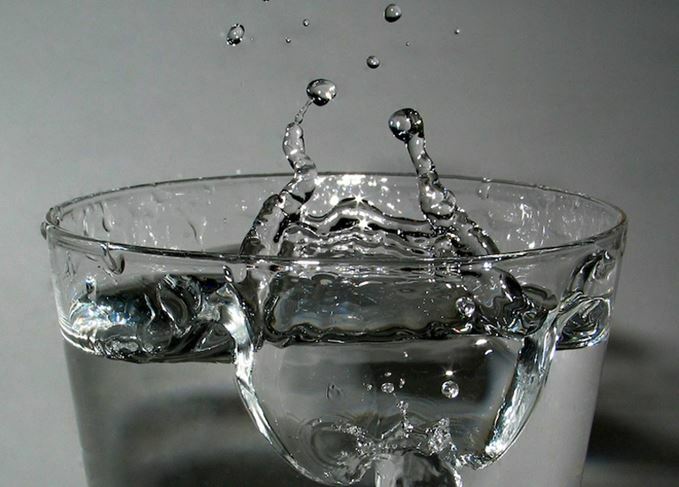 Water load of fuss – distillers require precisely the right kind of water to make whisky. While enjoying a distillery tour in the north of Scotland recently, I discovered an array of entertaining details: the tales of the legendary exploits of the (alas, long dead) distillery cat; the lengths to which employees would go in order to purloin the spirit maturing in their workplace; and the lyrical description by our guide of the water used to produce the malt whisky in question. Could I have imagined it? Your guide has done a sterling job of preserving the mythical magic that surrounds single malt whisky, but I fear their science may be a little less rigorous. First of all, it is true to say that water is absolutely vital to the making of Scotch whisky. If a distillery fails to have a reliable, year-round supply of H2O, it can’t function – witness the enforced stoppages at some Islay distilleries during (rare) times of drought on the island. Water is used in malting (admittedly, most distilleries don’t do this any more), in mashing and when diluting spirit to reduce its alcoholic strength to the desired level. Less directly, it is used in cooling and in the creation of steam which drives many stills, and is used for cooling. It also performs the vital task of making the tea. It’s also true to say that it can’t be just any old water. Process water – the stuff used for mashing and elsewhere in production, has to be clean and wholesome, having no nefarious effect on the finished product. Reducing water, however, must meet Europe-wide standards of potability. The type of water also plays an important role. Most Scottish malt distilleries use soft water: the presence of salts helps to keep the pH down and provides vital trace elements to help improve fermentation efficiency. However, the sources of this water vary widely. While a few distilleries may be able to tell the (rather embellished) tale of Glenwhatsitsname, others take their water where they can find it: from streams, rivers, lochs, boreholes or the public supply. Keeping it consistent and clean is rather more important than whether it has seeped through the heather or not. As to the final impact on spirit quality, well, opinions still diverge on that matter. Some maintain that the ‘character’ of the water is a keystone to the ‘character’ of the distillery; others might argue that, following fermentation, double (or triple) distillation and long-term maturation in an active container (an oak cask), you’d have to be the supertaster of all supertasters to be able to spot a mote of heather or a speck of peat. It does make for a lovely story, though. Is there such a thing as corked whisky? Most people have tasted corked wine at some point – but can the same unpleasantness affect whisky?